If you haven’t already heard, I’m currently championing Egypt as one of the best budget travel destinations around. Honestly, it’s astounding just how cheap this country is to travel, especially given just how amazing the things to see there are! Sadly for Egypt, the low prices travellers can expect here are due to their very important tourist industry having declined significantly after the political upheaval some years ago. But for us budget travellers, it’s a lucky break and given how safe I felt in this country and how good it feels to support the industry as it slowly gets back on its feet, I cannot recommend visiting Egypt enough. So to get your wanderlust all fired up peeps, here are 10 unbelievable things to do in Egypt on a budget. All prices given are correct at the time of publication. Egyptian Pounds= LE. However, I have to admit that their friendly neighbour, the Sphinx impressed me more. There is something just so iconic about this incredible monument that it really is mind-blowing to see it in real life and the excellent (as well as comedy) photos you can get of it make the experience even more enjoyable. 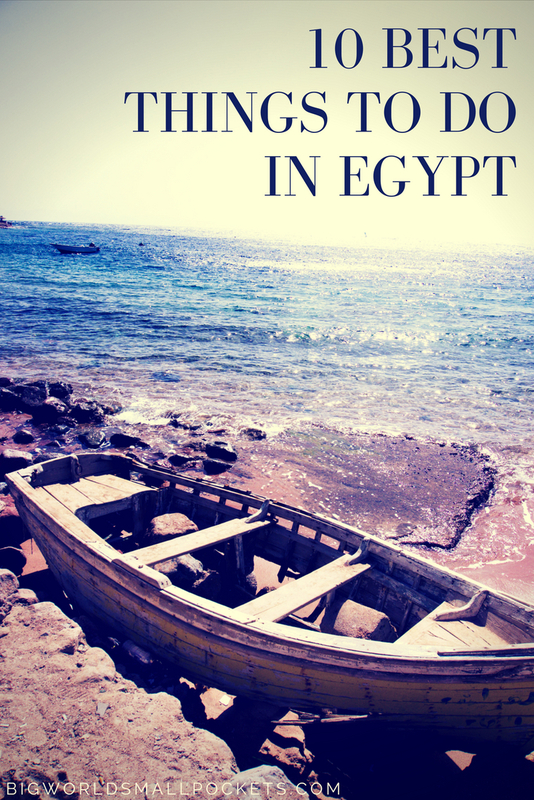 Away from mainland Egypt, the Sinai Peninsula is almost like a different country. Famed for its great diving opportunities, there’s no question that getting underwater here at the Red Sea is one of the best things to do in Egypt. And while the resort of Sharm-El-Sheikh is probably the most famous destination, the small town of Dahab just up the road is infinitely better! 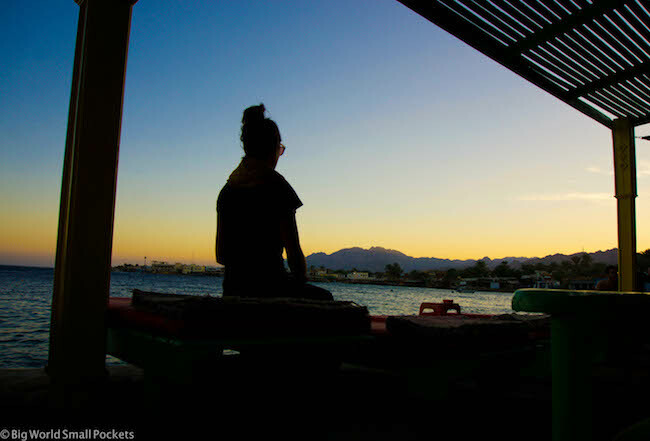 Certainly the top destination for independent travellers at the Red Sea, this small town is awash with dive shops, cafes and hostels that offer some amazing prices! I honestly could have spent weeks in this gorgeous little place, but had to make do with just 4 days, which I filled nicely with near-continuous hummus eating, yoga, diving, swimming and sunning myself on some of the best roof terraces I’ve ever found! Built by Ramses II, the awe-inspiring construction of Abu Simbel is a 3 hour drive from the city of Aswan in the south of Egypt, but let me tell you it is, without question, one of the best things to do in Egypt. Transport to this incredible temple complex is cheap and readily available from Aswan (around 250 LE for a return journey) and once you pay the entrance fee for the temple (175 LE) a guide is included, meaning you can glean some amazing historical info on this place too. 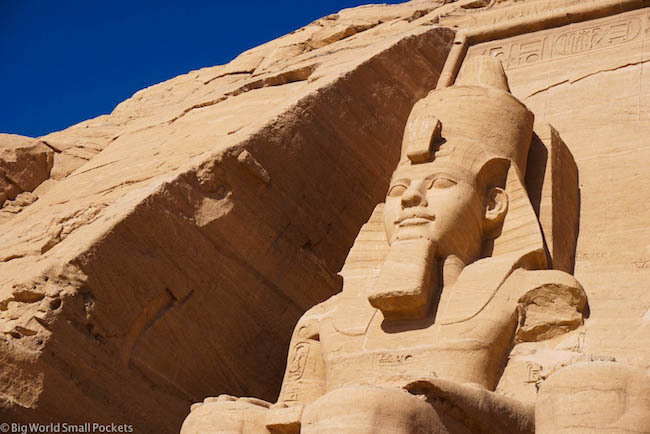 Abu Simbel is an incredible site featuring 2 of Egypt’s most famous temples which overlook Lake Nasser and are HUGE! Most famous are the 4 statues that greet you outside the main temple – they actually had me gasping with disbelief when I first saw them – and then inside, more treasures await you! The sense of wonder Abu Simbel imparts is only increased when you learn that each stone was painstakingly moved and reconstructed in the current position, on higher ground, after the flooding of Lake Nasser. Whatever you do, make sure you get there and take your camera! 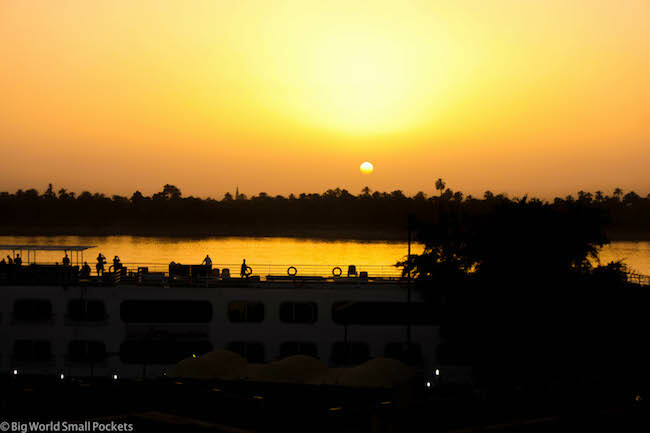 Taking a cruise up the Nile is one of the quintessential things to do in Egypt but, if you’re anything you like me, you probably have reservations about how expensive this notoriously tourist experience might be. But fear not my friends, this amazing adventure is totally accessible to those on a budget if you have a bit of flexibility in your schedule and don’t mind leaving things until the last minute! I actually managed to score an amazing deal on a 3 night cruise from Aswan to Luxor when I was in Egypt and thoroughly enjoyed lazing by the pool on the top deck of the ship as the world’s most famous river floated by. 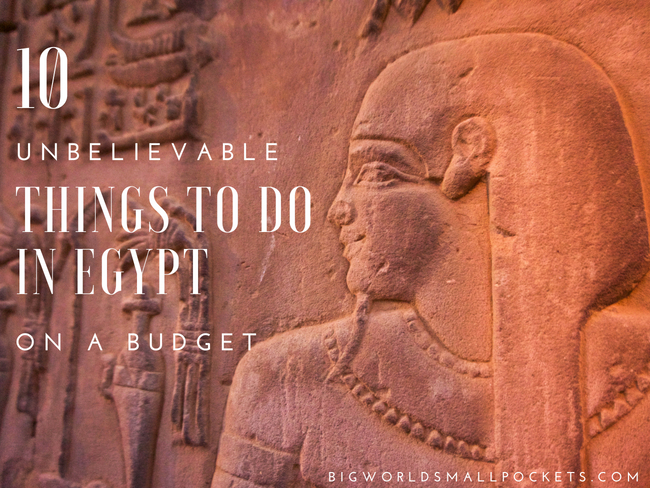 Find out exactly how I bagged such an amazing deal for just $30 USD a night (including all food and temple visits), by reading this blog post about the experience and get this one on your Egypt bucket list asap! Without a shadow of a doubt, the Valley of the Kings is one of the most important historical sights in this country, making it a no-brainer on my list of the top 10 things to do in Egypt. It’s also easy to see on a budget, with most hostels in city of Luxor (where the Valley of the Kings is) offering incredible priced tours (like under $10 USD) that include all transport, a professional guide and lots of other Luxor sights as well. Entrance to the Valley of the Kings costs 160 LE and includes access to 3 tombs – another great reason to take a guide because they can tell you which tombs are the best to visit. 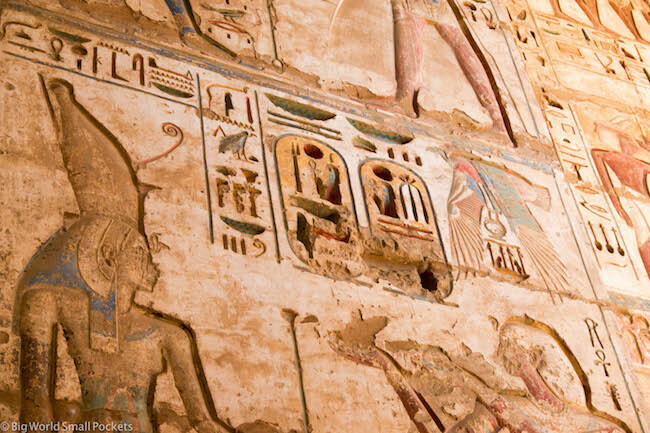 And prepare to be amazed as you step inside crypts thousands of years old, with such intricate carvings and bright paintwork you’d think they were created yesterday. The famous tomb of Tutankhamen is also situated in the Valley of the Kings, although you’ll need to pay extra to visit it and I really wouldn’t bother as, despite its reputation, it’s not worth it! #2 Arabic Phrasebook – Most people in Egypt who are connected with tourism industry speak good English, but learning some Arabic never goes a miss, especially if you want to ensure you’re paying the best prices! The Egyptian Arabic Lonely Planet phrasebook is a super affordable piece of kit. The land of the teahouse, Cairo in particular is jampacked with amazing places to enjoy a good Middle Eastern tea and people watch! Combining this in the evening with smoking a traditional Egyptian sheesha and perhaps watching a football game is the perfect way to get into the spirit of this county, which is why I’ve voted it one of the best things to do in Egypt. There’s lots of choices in the capital especially, but the Odeon Palace in downtown had to be my favourite. Now it’s really time to hit the WOW pedal and tick the mighty Pyramids of Giza off your Egypt list. 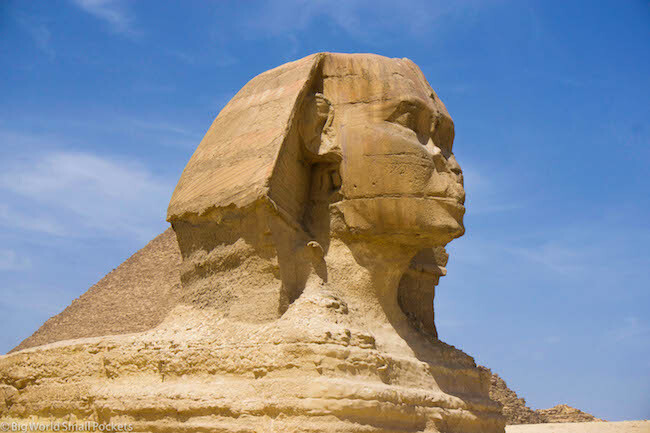 An absolute bucket list belter, the pyramids are situated over with the Sphinx in Giza – which is located the other side of the Nile from Cairo. Early morning is the best time to head here so you can avoid the crowds and catching the Metro is the cheapest way to do it. Spend a good few hours, wandering, snapping and heading inside the Pyramids, before also checking out the Cheops Boat Museum. Costing you just 2 LE (Egyptian Pounds) each way from the city centre of Aswan, Elephantine Island is an absolutely delightful place to stroll around. Taking in the quiet, dusty streets and traditional Nubian villages of this part of Egypt, it’s easy to lose at least a few hours of your day simply ambling around as kids play in the streets, men gather on the pavements smoking sheesha, women chat together in the doorways and families of sheep jostle their way past you. Elephantine Island is also home to the Aswan Museum, where an entrance ticket will set you back 70 LE. Here there is a small garden, an excavation site currently being worked on by a Swiss / German team and an exhibition hall. 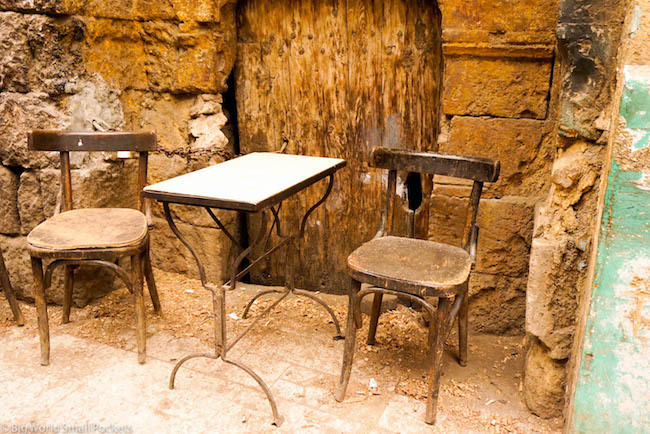 Check out the ruins and exhibition first before making your way to the Satet Nilometer. An incredible measuring system the ancient civilisations of Egypt used to assess the height of the river, the Nilometer is situated within the museum grounds. 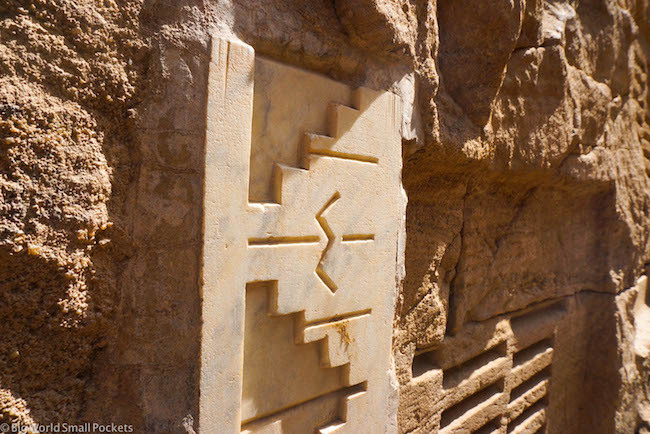 With steps that lead down to the river and clever markings that help judge its height, this is a fascinating glimpse into the highly sophisticated skills of a civilisation that existed here over 3,000 years ago. At the bottom is a nice archway, framed perfectly for your Instagram shots, and you can even sit on the bottom step and cool off by dipping your toes in the world’s most famous waterway! There’s no way you can come to Egypt and not check out some temples, so here’s the two I definitely advise you get on your list of things to do in Egypt. 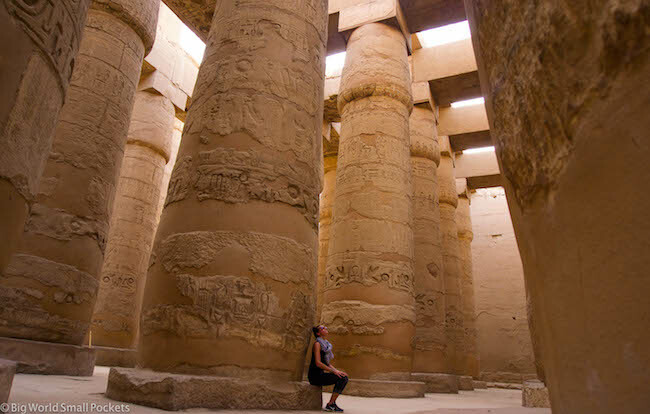 Both Karnak and Luxor Temple are situated in the city of Luxor (unsurprising!) and it’s easy to visit them both in the space of an afternoon. First head to Karnak Temple. One of the largest in Egypt, this is a huge place you’ll need at least a few hours to explore. The “Forest of Pillars” as it’s known here is simply breathtaking and the sanctuary and purification lake are also must-sees. Late in the afternoon, it’s then time to visit Luxor Temple (100 LE entrance fee). Situated in the heart of the city, I found this temple fascinating, not least because of the crossover of the Islamic and Christian artwork with the ancient Egyptian stuff – even Alexandra the Great left his mark here! The Avenue of Sphinxes, some of which still remain and which used to stretch all the way to Karnak Temple, also give an amazing insight into just how grand and audacious this city was in its heyday. It’s also great to know that Luxor Temple is open until 9pm and being here around sunset to catch the golden fading light of the days as it reflects off the pillars really is magnificent and a must-do. 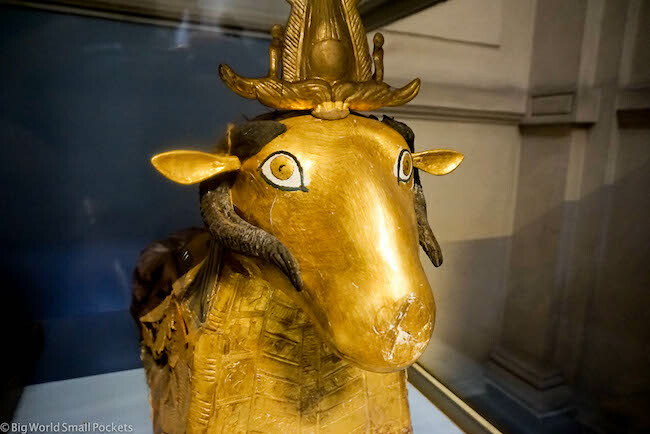 Currently located in Central Downtown Cairo – although soon to be moved to a brand new, purpose built site in Giza – the Egyptian Museum is the country’s flagship exhibition space and is chock-full of ancient treasures. Put quite simply, it’s absolutely mind-blowing. Just about anything that was salvaged from a tomb, temple or pyramid was brought to Cairo and is now housed in room upon room of treasures here. From Tutankhamun’s gold burial mask to the mummified bodies of several pharaohs, this is definitely one the of the best things to do in Egypt and you’ll want to allow at least 2 hours here. Entrance tickets to the Egyptian Museum costs 120 LE for foreign visitors, although do be aware that the Mummy Room costs an extra 150 LE to enter and access to a camera anywhere in the museum will cost you a further 50 LE. And if you’re into museums, then the Luxor Museum is another top one to check out when you’re in Egypt too. 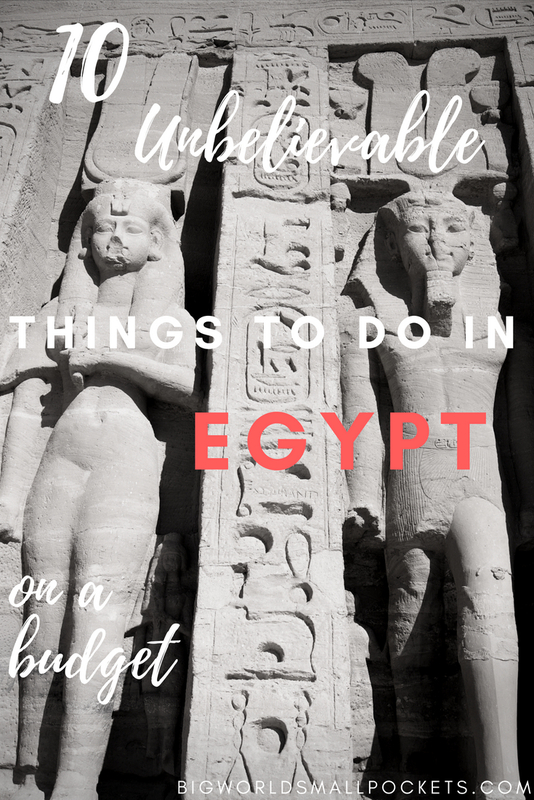 And that’s it, my list of 10 unbelievable things to do in Egypt on a budget. Have you visited this incredible country? Were you blown away too? not sure why i’m crammed in here but anyway,just discovered you and signed up post haste.Budget travel is also our thing so thank you for your detailed writing on Egypt.Really fired us up.Did you make it to SIWA Oasis? Sounds amazing, off the beaten path kinda.We’ve taken to hostels if we can score a private room so I’m hoping your suggestions will cover that.Happy trails to you.Oh we are both 72. This is amazing! Absolutely great tips. 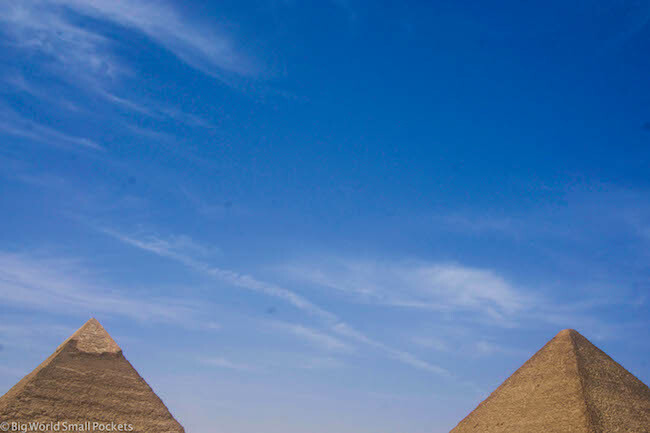 I LOVE your photos from egypt – incredible! These all things are affordable and under budget. Thanks for the vote of approval! Your post is so unique and interesting.Thanks steph!